Within us all is a place of peace, simplicity and ease. Through beautiful, heart-centred yoga practices of movement, breath and stillness, we will experience directly the Peaceful Heart. Over time, you will discover that what you practice here flows into your daily life and stress begins to melt away naturally. Whether you are new to yoga or looking for a fresh approach, this course offers a special opportunity to experience life in a new way. Many of us experience the mind as a busy place, full of memories, ideas, and a never-ending to do list. This course will help you to develop the skills and techniques needed to calm the mind through meditation including relaxation, focus and mindful awareness. Each class will include a guided deep relaxation leading into our Heart Meditation. Meditating in the heart naturally leads to a calm mind, open heart and happier life. The course is open to experienced meditators as well as those looking to develop this life changing habit. Experience calming, heart centred movements and meditative mantras that can harmonise and balance body, mind and soul. 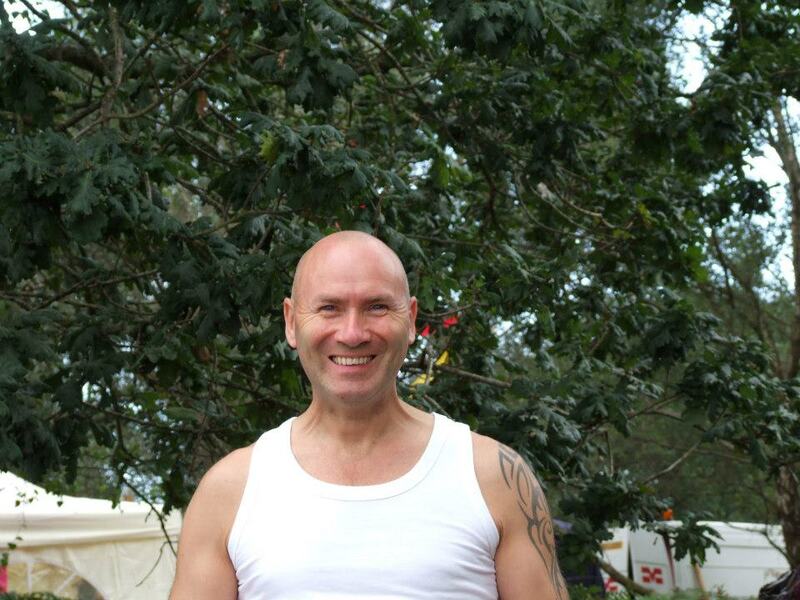 We will practice gentle yoga movements, walking meditation (possibly outside depending on weather- bring a jumper! ), mantras and mudras. Treat yourself to a day of Heart yoga with Padma Devi from Heart of Living Yoga. These heart-led gentle yoga practices will bring you a more easeful body, a more peaceful mind and lead you towards a happier life. A beautiful week-long retreat in Southern Spain with the wonderful Shakti Prem (Andrea Johnstone). Join Rev Padma and the Heart Of Living Yoga family for a very special silent retreat in Co Fermanagh, Ireland. We will be staying at the beautiful Lake Island Retreat Centre which includes a magnificent Krishna Temple -- on an island! Discover the joy in exploring a variety of meditative healing instruments and the benefits that they can bring to you and to others. The instruments that we will be connecting with include; singing bowls, frame drums, rattles, rainstick, sansula, shruti box, chimes and the hapi drum. No previous experience is required of playing any instrument at all. These can all be played intuitively from the heart. Beautiful week of Heart Yoga with Akasha in glorious Spain. It can be easy to get weighed down with the stresses and strains of daily life. We might not even realise it's happening! Fortunately, there are tried and tested techniques for reducing stress and increasing joy. Bringing together a playful, relaxing yoga class, beautiful heart meditation and the healing power of herbs, we will share practical ways of helping yourself to feel more joyful, open hearted and peaceful. 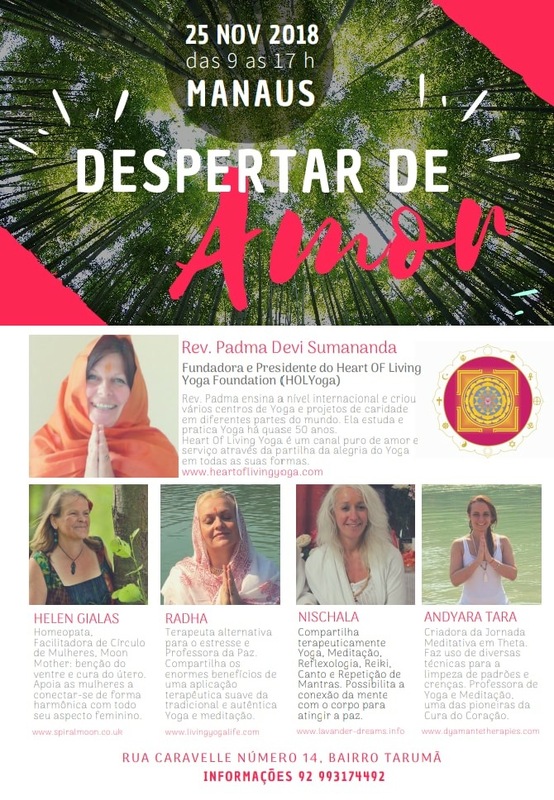 Whether you are looking to deepen your personal practice, to become a teacher or develop your existing teaching, Heart of Living Yoga is a beautiful path founded by the yogini Padma Devi Sumananda based on her 50 years of practicing, teaching and living yoga. Imagine spending 5 days in the beautiful Ricote Valley, near Murcia, enjoying the peaceful surroundings while discovering the inner tranquility of your own heart. 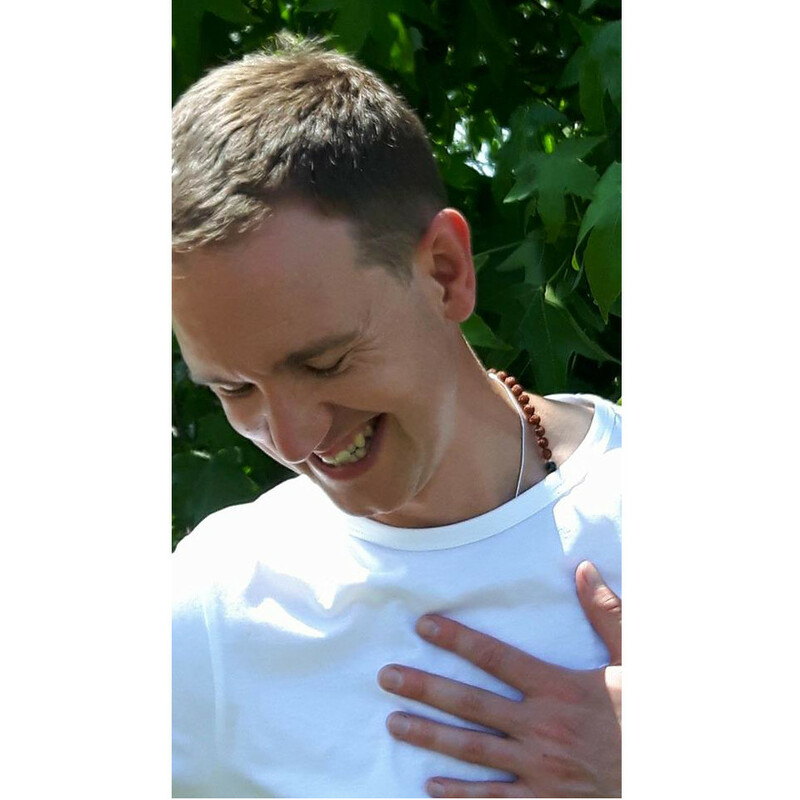 Guided by Heart Of Living Yoga Teacher, Trainer & Therapist, Vishwam Heckert, you will have a special opportunity to experience a deep and profound level of peace, joy and tranquillity. In addition to the daily programme of yoga and meditation, Vishwam is available to offer you deeply relaxing therapeutic massage, 1:1 heart mindfulness meditation and wellbeing coaching. All this as well as the delicious, local food, heavenly walks in a breath-taking landscape and the delights of the local culture. Sound good? 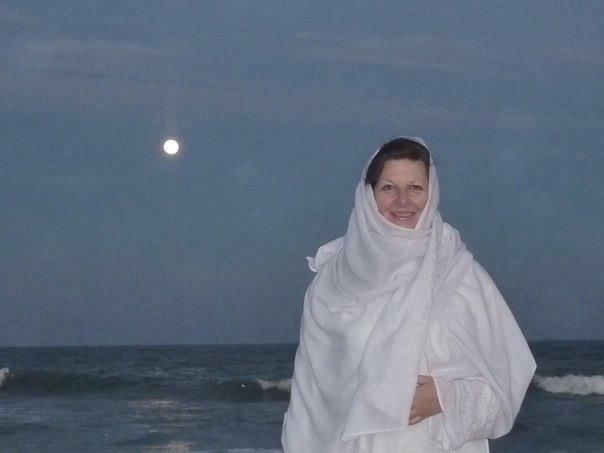 Explore the gentle Heart led practices of Yoga with Padma Devi. Treat yourself to a week, a weekend, Mon-Fri, or a day of yoga that will bring you to a more easeful body, peaceful mind and lead you to a happier life. Prices start at £230 for the full week. You are warmly invited to join this beautiful day retreat with Rev Padma Devi Sumananda, founder of Heart Of Living Yoga. Together we will share heart-based practices that nourish life, restore wellbeing and empower us to help others and the world. 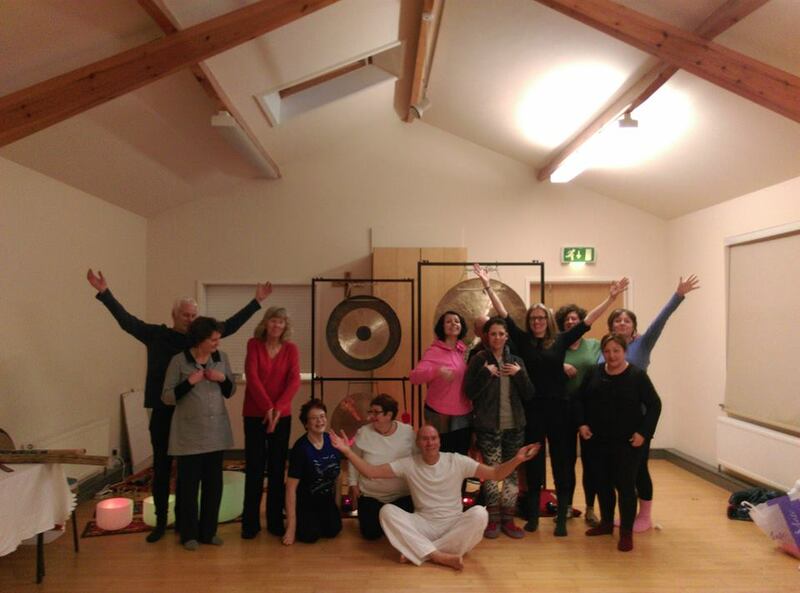 Join Bodhini and friends for a beautiful evening of heart-centred meditation followed by bathing in the divine sounds of gongs, singing bowls, shamanic drumming, sacred chants and other meditative sounds. You are warmly invited to this gentle evening of meditation, discussion and community. We are very blessed to have Rev Padma Devi, founder of Heart Of Living Yoga, visiting Matlock once again. 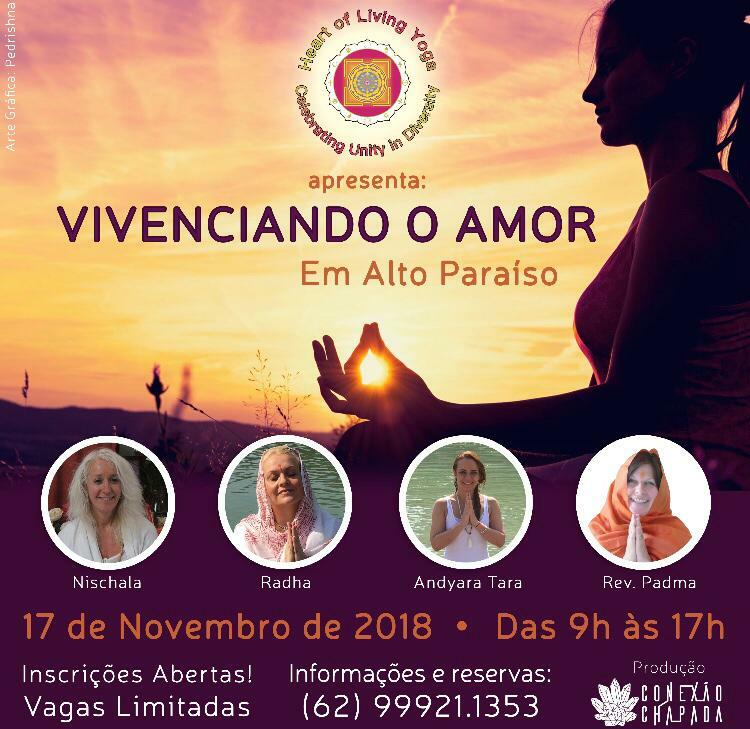 She is a very beautiful, humble and devoted human being sharing simple practices which bring healing to our lives and to our world. Padma has been joyfully teaching yoga and meditation for 50 years. Breath is life. It can calm our minds and heal our bodies. Changing how we breathe can change our lives in the most wonderful ways. 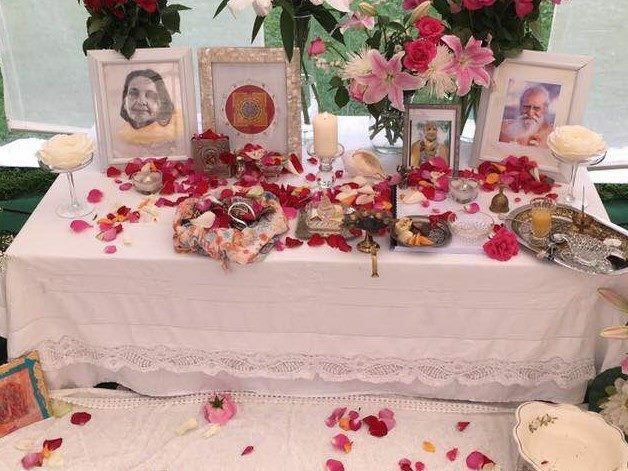 Heart of Living Yoga deeply relaxing Meditation Evenings with Harshani Curbishley-Brown running for 6 weeks on Thursday evenings from 21st February until 28th March 2019. Newcomers are most welcome, as these Meditation Evenings are open to all, to share & deepen experience of a Heart centred Meditation together. This six week course is perfect for beginners or those who wish to deepen their meditation practice. Held in the beautiful Wensley Reading Rooms, classes are small, friendly and very welcoming. They offer a beautiful opportunity to discover peace within. This is a unique opportunity to train to become a yoga teacher in Rishikesh - the birthplace of yoga - with Rev. Padma Devi Sumananda, the President and Founder of the Heart Of Living Yoga Foundation. We are all looking for harmony, balance. To feel connected. At one with ourselves. At ease with life. We will look at how to integrate this experience into our daily lives, including our relationships with ourselves and all others. Please bring a yoga mat, bolster/pillows/duvet/blankets for yoga nesting, a bottle of water and something veggie for our lovely shared lunch. Please note there will be a sister event in Sheffield on Saturday 8th December. 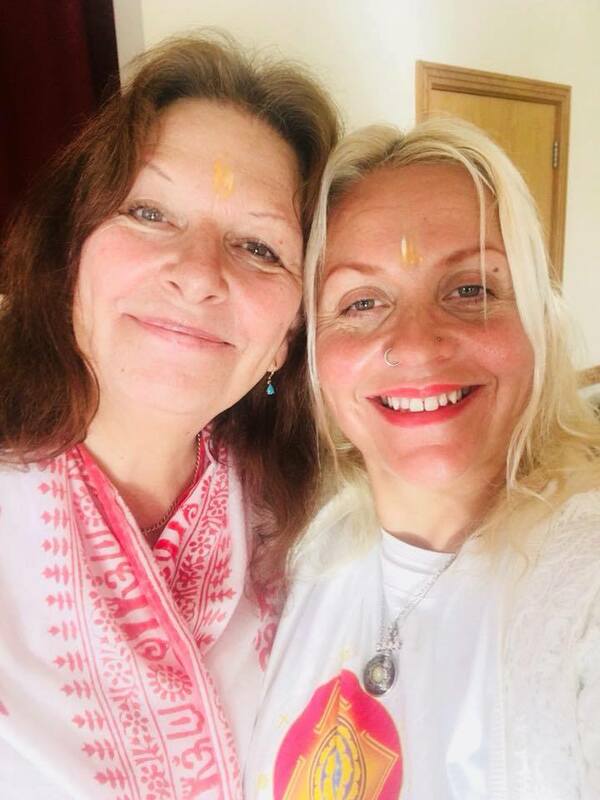 Please note there will be a sister event in Matlock on Sunday 9th Dec.
Om Shanthi. Everyone we meet is looking for Peace. We all want that in our lives. The day retreat will be hosted by Heart Of Living Yoga teachers and teacher trainers Nischala & Vishwam. The suggested donation for the day is £45. Half of all proceeds go to support the life changing work of the Heart Of Living Yoga Foundation around the world. NOW IN ITS 10TH AMAZING YEAR! If you like yoga and you like resting, this could be the retreat for you! This will be held at beautiful Turvey Abbey, Buckinghamshire, immediately following the Heart Rest Training with Radha and Vishwam. Heart of Living Yoga are delighted to be offering our first Heart Rest Training this summer in beautiful Turvey Abbey, Buckinghamshire. 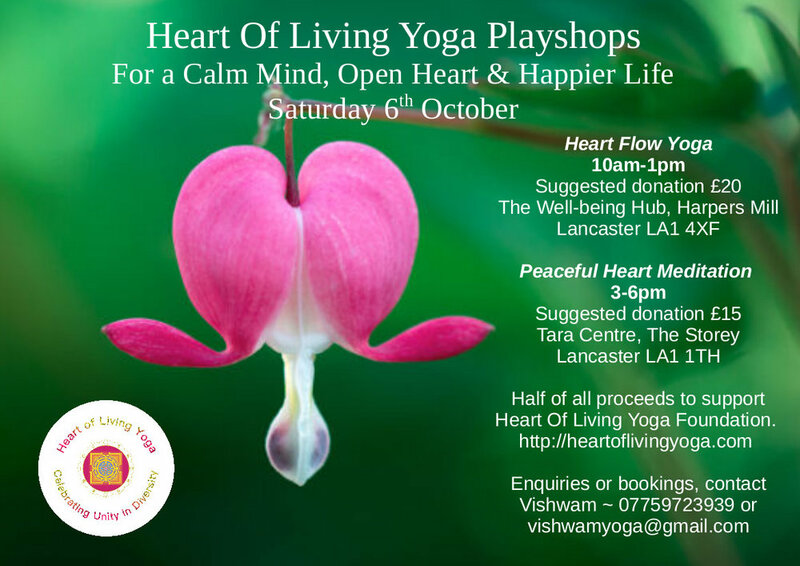 This event follows our wonderful Heart Rest Yoga Playshop in the afternoon. Join Harshani & Vichari for a beautiful celebration of the Summer Solstice through Heart filling Yoga & a Sacred Sound Bath. 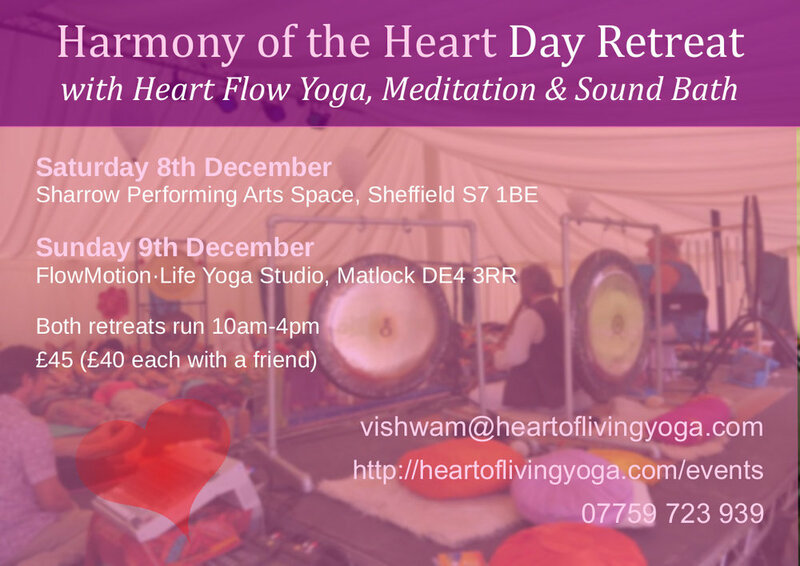 The morning will be a deep immersion into Mantra/sound alongside Heart Meditations & Hatha practises, finishing with a Heart Rest Yoga Nidra bathing in the healing energy sounds of an Earth Gong, Tibetan Singing Bowls & Sansula Sound Bath. In the UK, the longest day is between the 20th - 23rd June, this means that the outer circle of the sun has reached it's height & the energy of fire Yang has reached it's full potential, activating the new Yin cycle of the year. From this point onwards the energy changes & the days will begin to shorten again. The Mid Summer Solstice is the doorway into a new cycle, marking a transitition & change of energy flow. So come & allow yourself time for transformation , transition & harmonising in tune with this new cycle. Places are £25 per person. Advanced booking essential with payment in full please. Please contact harshani@mindbodywellbeing.co.uk for bookings & further details. "Summer of the Heart " ... a beautiful retreat on an idyllic island in the Swedish Archipelago ... retreat to peace in an eco retreat centre.